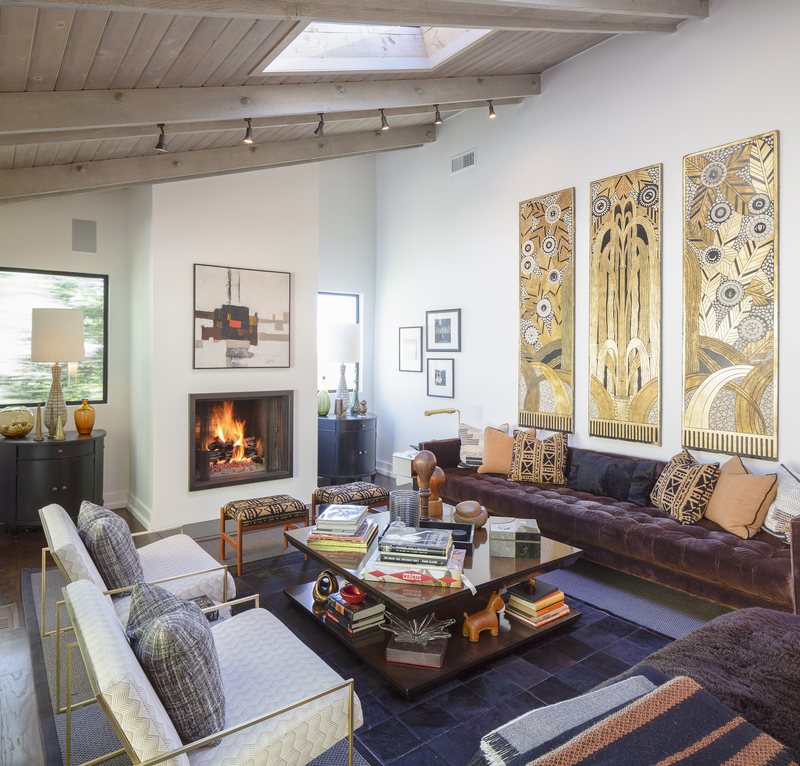 One of the original stars on Hollywood’s famed television series Fashion Police, George Kotsiopoulos, is known for his incredible sense of style which on display in his West Hollywood home. The three-bedroom home has a cozy living room with vaulted ceilings and a gas fireplace. 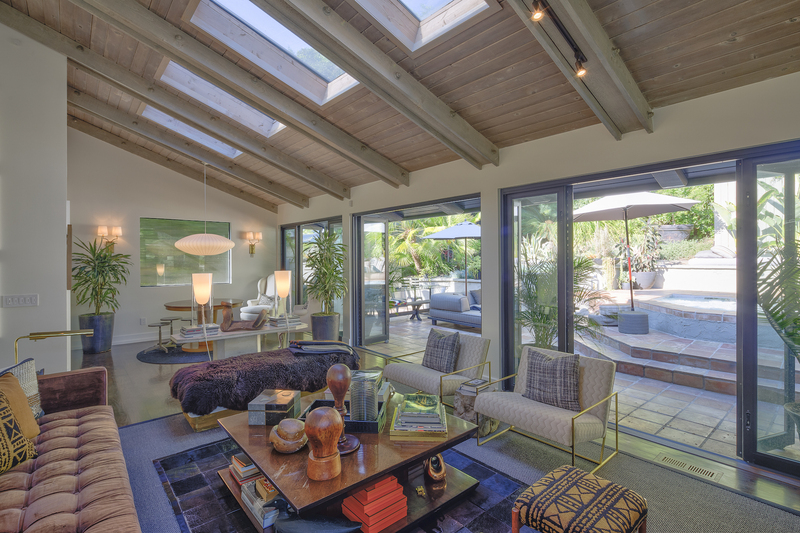 Glass doors lead out to an outdoor living space that includes an in-ground spa. 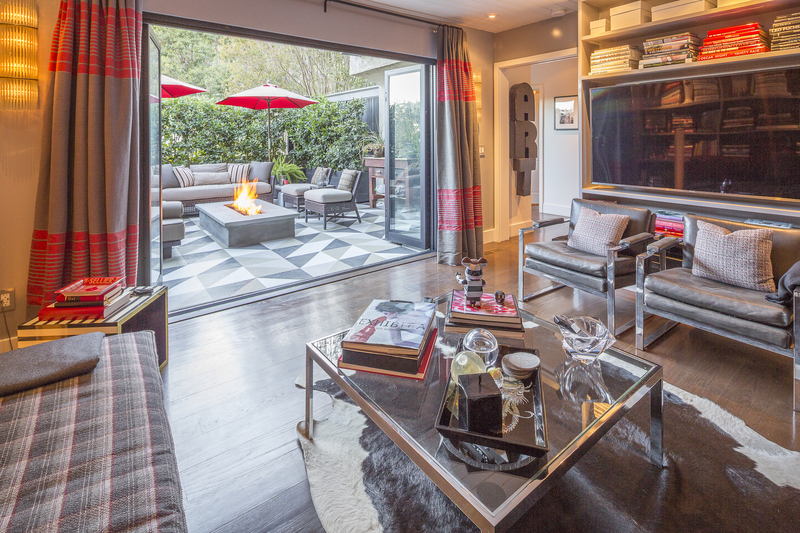 The first-floor den has built-in shelf space and opens out to a terrace with a firepit. 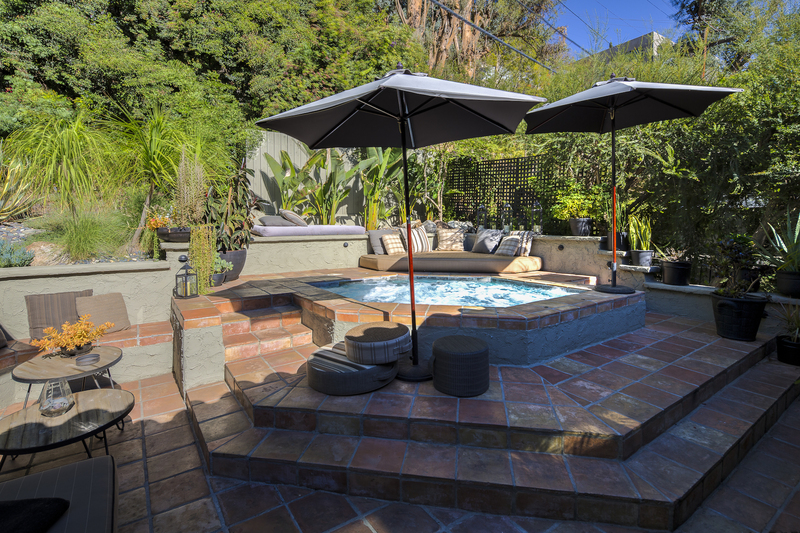 The three-bedroom home is located near West Hollywood’s restaurants and entertainment. This property is listed by Mimi Starrett of CORE Real Estate Group for $2.395 million.